Below you can view all the highrises for sale in the The W Residences subdivision located in Atlanta Georgia. 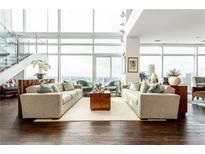 Listings in The W Residences are updated daily from data we receive from the Atlanta multiple listing service. To learn more about any of these highrises or to receive custom notifications when a new property is listed for sale in The W Residences, give us a call at 404-998-4063. This Full Amenity Building Features Valet Parking, Concierge, Restaurants, Spa, Gym, Dry Cleaning, Housekeeping, Helipad, Room Service And More! MLS#8544469. Berkshire Hathaway Homeservices Georgia Properties. 2 Parking Spaces And Comprehensive 2/10 Buyer Warranty Included. MLS#6518884. Atlanta Fine Homes Sothebys International. W Hotel Has Atlanta'S Own Helipad. MLS#6516251. 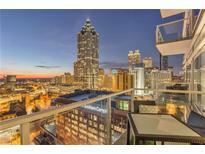 Sell Atlanta, Llc..
*Homeowner Discounts On W Hotels Worldwide*. MLS#6514758. Keller Williams Rlty-Ptree Rd. Enjoy The Hotel Amenities, Room Service, Pool, Fitness, Bars And Helipad On Roof. MLS#6508011. Above Atlanta, Llc.. Wonderful Easy-To-Work-With Seller! Modern Luxury Awaits. MLS#6505863. Atlanta Fine Homes Sothebys International. 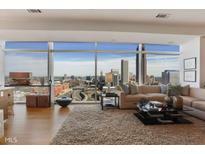 Beautiful Floor-To-Ceilings Windows Offer Natural Light And Gorgeous Views Of The City. MLS#6129080. Ansley Atlanta Real Estate, Llc. Includes Washer/Dryer One Of The Best Parking Spaces In The Deck (#309 Right Next To Elevator). MLS#6122425. Atlanta Fine Homes Sothebys International. The W Residences Are All About Five Star Luxury Hotel Lifestyle In The Heart Of The City With Helipad, 16Th Floor Elegant Sky View Pool, Fitness Center, And 24 Hr Concierge. MLS#6118124. Berkshire Hathaway Homeservices Georgia Properties. Enjoy 4 Star Hotel Services & Amenities! MLS#6116796. Coldwell Banker Residential Brokerage. Enjoy Valet Parking, 24 Hr Room Service, Housekeeping On Demand, Zero Edge Sky Pool, Spa, Gym & More! MLS#6098117. Coldwell Banker Residential Brokerage. All The Amenities Of The W Hotel,Pool, Gym, Restaurants, Chef On Demand, Room Service, & More! MLS#6079318. Atlanta Fine Homes Sothebys International.